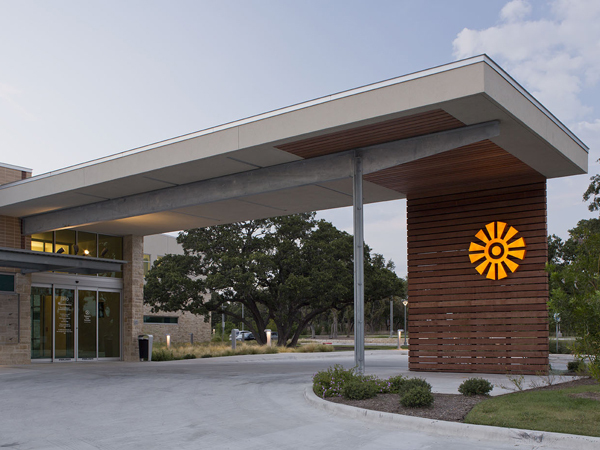 Central Health’s mission is to provide wellness to underserved populations in Travis Country through quality and accessible healthcare. 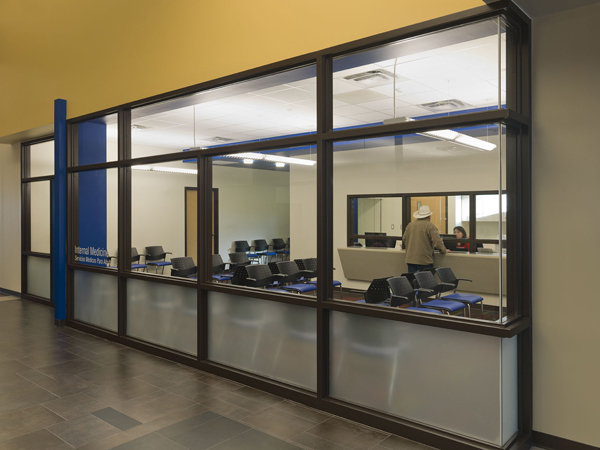 Their goal for the North Central Health Center was to create a dignified public building able to provide these services as well as to promote a sense of place and community pride. 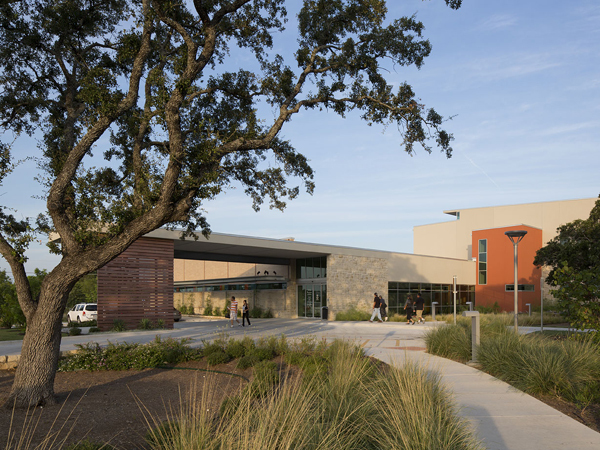 To accommodate the 55,000 SF program, while maintaining the uniqueness of a site with over 400 mature live oak trees, a two-story building was nestled between clusters of historically protected trees. A single story maintains the low scale of Braker Lane. A two-story wing accommodates the remaining program and is set back to temper its scale impact. Individual clinics for multiple medical disciplines are organized around a central two story public Medical Hall. 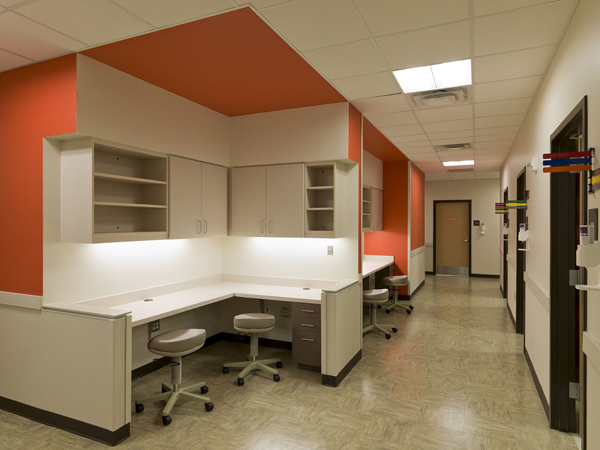 The use of interior glass allows the Medical Hall’s clerestory light to penetrate well within the building. 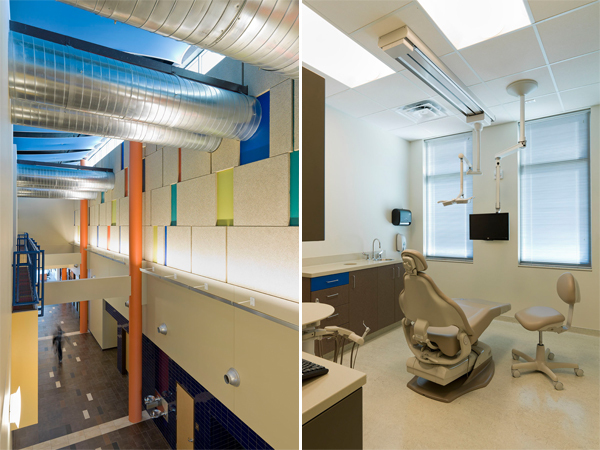 The building incorporates limestone, stucco and brick masonry above ribbon windows at the clinician offices, protected with a continuous aluminum plate sun shade. Combinations of clear and multi-color glass are arranged in patterns evoking the randomness of the 4 proteins within the human DNA molecule.